Embarking on a PPC marketing campaign without the right knowledge and experience can be an extremely expensive and time-consuming exercise, with very little return. Due to the complex ‘quality score’ algorithms used by the search networks, running a successful PPC campaign has become just as complicated as SEO, if not even more complicated. In the world of paid search there are 6 search networks which account for approximately 99% of the market. Of these 6 networks the majority of market share is held by the “big 3″ Google, Yahoo & Bing. I’m sure you’ll agree; there’s nothing worse than looking at your competitors on the sponsored search results, for all those crucial keywords, and wondering how they can afford to be in those top positions! What are they doing differently? 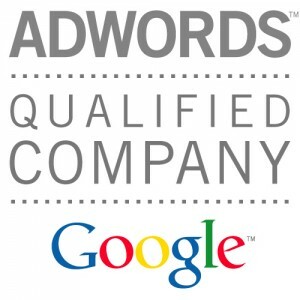 How are they able to exploit the huge revenue opportunities presented by PPC marketing? As a business, if you do not have the skills, experience, time or resource to do all of the above; running a PPC campaign in-house is a risky strategy and will inevitably turn out to be a false economy. In our experience every single penny saved by not using a PPC specialist will be absorbed 10 times over by the extra cost associated with running a non-efficient campaign and the potential lost revenue from lack of competitiveness on the search landscape. If you are in such a position; not only can Superior Internet Marketing provide you and your business the required expertise and exemplary levels of service, we can also offer our service to you at price to suit your budget. You too can benefit from a Superior Internet Marketing campaign. Do not let your competitors gain momentum on the search networks; why not explore how a Superior Internet Marketing PPC campaign can substantially increase your exposure and revenue potential online? Contact us now to discover more.